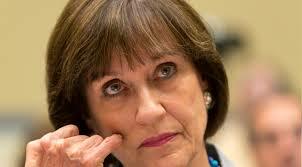 Lois Lerner had yet another personal email account used to conduct some IRS business, the tax agency confirmed in a new court filing late Monday that further complicates the administration’s efforts to be transparent about Ms. Lerner’s actions during the tea party targeting scandal. The admission came in an open-records lawsuit filed by Judicial Watch, a conservative public interest law firm that has sued to get a look at emails Ms. Lerner sent during the targeting. IRS lawyer Geoffrey J. Klimas told the court that as the agency was putting together a set of documents to turn over to Judicial Watch, it realized Ms. Lerner had used yet another email account, in addition to her official one and another personal one already known to the agency. “In addition to emails to or from an email account denominated ‘Lois G. Lerner‘ or ‘Lois Home,’ some emails responsive to Judicial Watch’s request may have been sent to or received from a personal email account denominated ‘Toby Miles,’” Mr. Klimas told Judge Emmet G. Sullivan, who is hearing the case.